Genuine Carbon Fiber Panel for light weight, stiffness, & good looks. 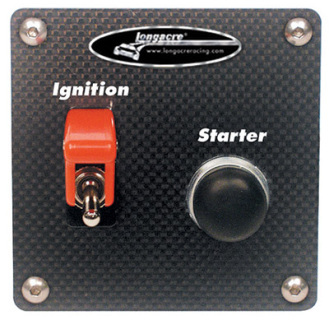 High capacity ignition switch with aircraft style cover - Easy to turn off in an emergency from any angle. Will not switch off from vibration. Replace your old, dingy stalk caps with brand new ones! If your MG is like most, your original caps are now a rusty brown, and a blemish in your otherwise nicely appointed cockpit. 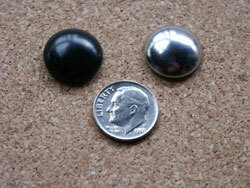 We now have these high quality replacements in both a bright stainless steel finish, as well as a satin black finish. These come in pairs to fit both your turn signal and your wiper/washer stalks. Detailed instructions are included.